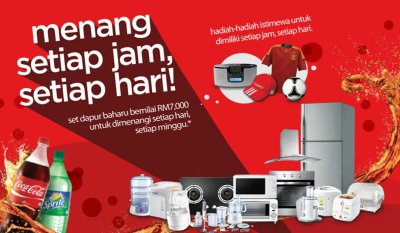 Home » purchase » sms » Peraduan Coke "Menang Setiap Jam, Setiap Hari!" Peraduan Coke "Menang Setiap Jam, Setiap Hari!" Send your entry via SMS or Postal Mail. Visit Coke website for more details. 3 simple steps to win free concert tickets to catch Super Junior in Malaysia!